Kinect game reviews, good and bad. Kinect stress tests. 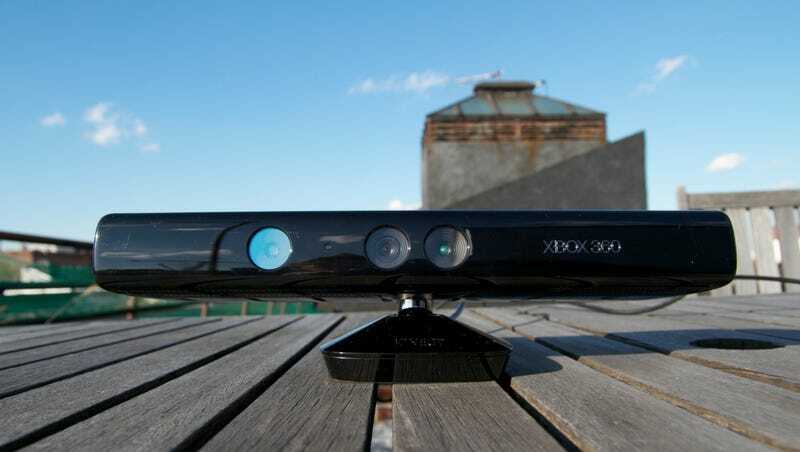 Kinect photographed near a can of beans. A video diary of nine days with Kinect. A tale of two re-arranged living rooms It's all here in our definitive Kinect article round-up. Microsoft calls it a new console, but the Kinect is really a fresh coat of paint for the Xbox 360, promising to deliver not just motion gaming, but controller-free gaming to the masses. Setting up your Kinect array of cameras and microphones doesn't take too long, but it's much more involved than setting up the Wii or Playstation move. Kinect works by projecting infared light throughout the room it's situated in. Under normal circumstances, it's invisible, but switch to night vision mode and you can actually see the dots floating around your living room. Phew! We're going to sit down now. Xbox... pause.